Val and Lanora have been friends forever. Val expects their relationship to stay the same. But after they start middle school, Lanora decides to reinvent herself. Her parents have split up, and she wants to rise above that. Unfortunately Lanora's choices lead her into trouble. Val hates watching her friend lose her way. She wants to rescue Lanora, but how? Val doesn't know what to do until a stray cat leads her to a strange boy who lives in an even stranger bookshop. Together they embark on a quest. Will they be able to save a lost friend? Will they get lost themselves? Or will they find a way to help each other become who they want to be . . . . 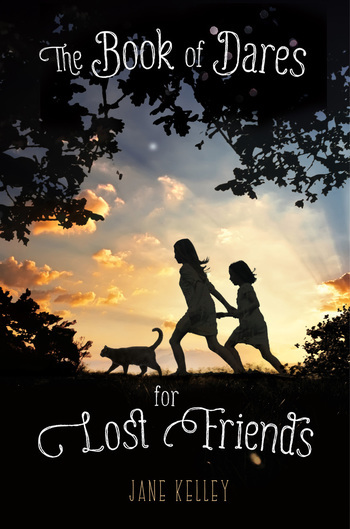 The Book of Dares for Lost Friends by Jane Kelley is a nuanced, universal story about friendship and that delicate time of adolescence when there is much to lose and much more to find. Jane Kelley is the author of the middle-grade novels Desperate Adventures of Zeno and Alya, Nature Girl and The Girl Behind the Glass. She lives in Brooklyn with her husband and their daughter.